Florida living at its Best! 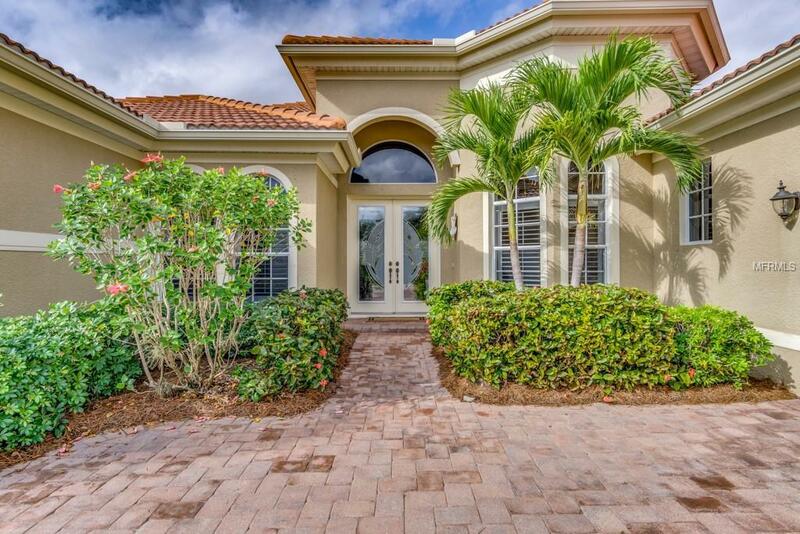 This ELEGANT ESTATE home offers Spacious Open Floor Plan featuring 5 Bedrooms... 3 Full Baths... Dining Room... Soaring Coffered Ceilings with Crown Molding. The "Chefs Kitchen" incl. 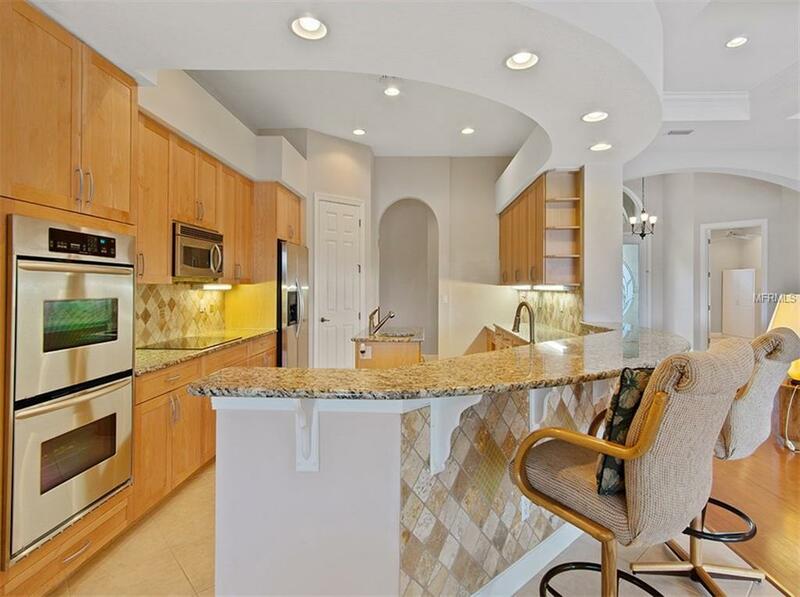 Granite Counters & Tile back splash... under cabinet lighting, 42 Hardwood Cabinets... Self Close Drawers... Dual S/S Convection Ovens... a Chefs Island & 2 sinks... Great room has Hardwood Floors & Pocket Sliders to Lanai with Great Lake view. 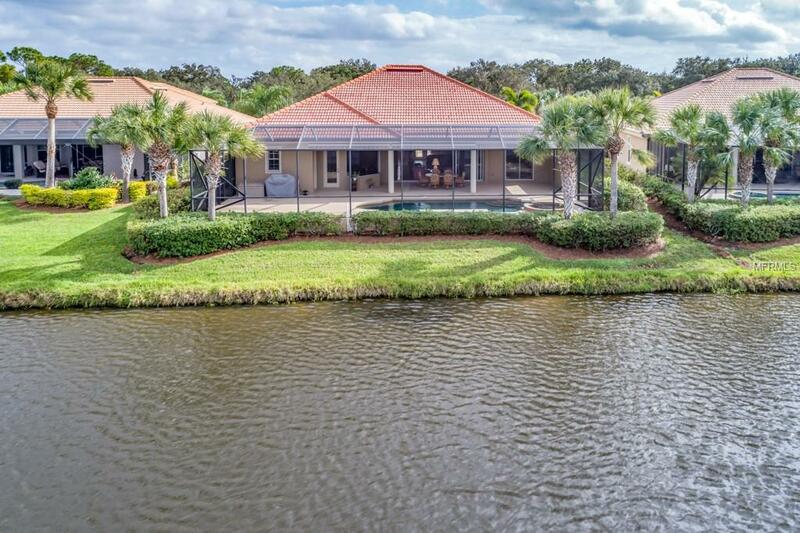 Wired speakers (Great Room, Lanai, Master bed & bath & a bedroom)... Plantation Shutters... 6" Base molding... Retractable Awnings... an Over sized 3 Car Garage... Large Lanai. A Solar Heated... Salt Water... Self Cleaning Pebble Tec Pool/Hot Tub. Riverwood located on the Myakka River: 1300 acres, Gated, Championship Golf, Recently voted in TOP 50 PLACES TO PLAY GOLF IN US, 2018 (#36) by GOLF ADVISOR. Take daily walks or bike rides along the lush tree lined streets, enjoy rounds of tennis, the Jr. Olympic pool & hot tub, work outs at the Fitness Center & the many activities offered at the Center. An Audubon Green Community Award Winner for its natural habitat for Florida Wildlife. 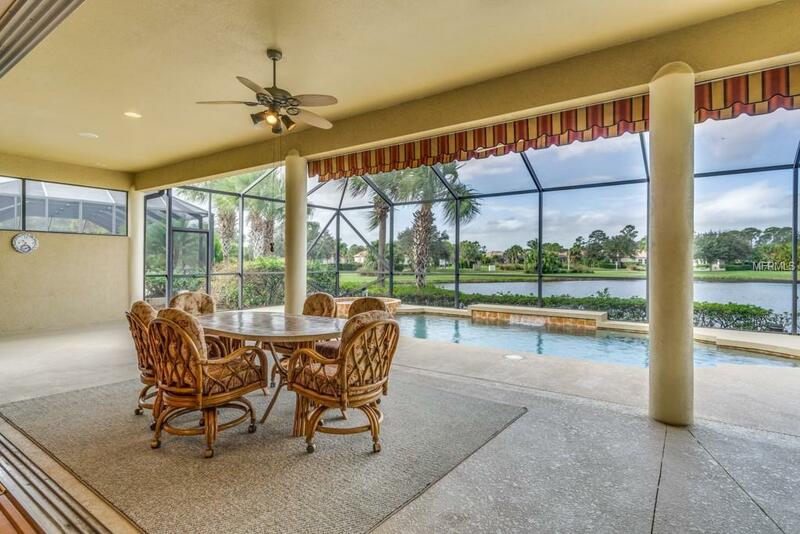 Other amenities include Dog Park, Riverwood Golf Club, & Private Beach Club on Manasota key. Canoe & Kayak Launch, Ride your bike to Tampa Rays Spring Training Games! Minutes to World Class Fishing & boating, dining, shopping & some of the Best Beaches in S.W Florida. Located between Sarasota & Ft. Myers on Floridas West Coast: New activity campus to be completed April 2019.